If you love a glass of chilled wine or a scoop of ice cream to ward off hot summer days, wine ice cream is the answer to your boozy dreams. 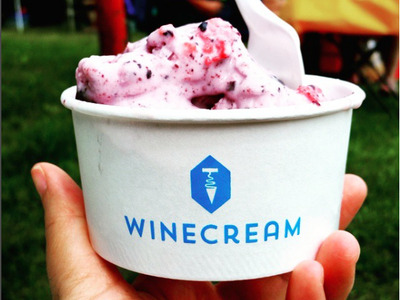 “Crossroad Company” is a Baltimore-based business that invented Winecream, an amazing combination of gourmet ice cream and fruity wines. Since May, the small family-owned company has been scooping out these boozy frozen treats at numerous festivals sprinkled across Maryland. The company makes fruity wines in house, like strawberry, pineapple, or peach, which are mixed with an ice cream base and then flash frozen using liquid nitrogen. What’s left is a buzzing bowl that contains as much alcohol as a glass of wine, but without the burning sensation boozy drinks often come with. The dessert is made to order though, so to try it, you’ll have to actually attend one of their events — unless you live in Maryland of D.C., in which case you can order it online.